As we celebrate Mother’s Day this year, the Chester County Fire Chiefs Association gives a special thank you to all moms who volunteer to keep Chester County lives safe and encourages more to do the same by learning about volunteer opportunities at www.helpfightfire.com. For six women profiled below, and the countless other moms like them, volunteering isn’t just a hobby. It’s a duty; a way to give back to their community. These women save lives in their communities as firefighters, EMTs and administrative volunteers. We honor them by sharing their stories here. 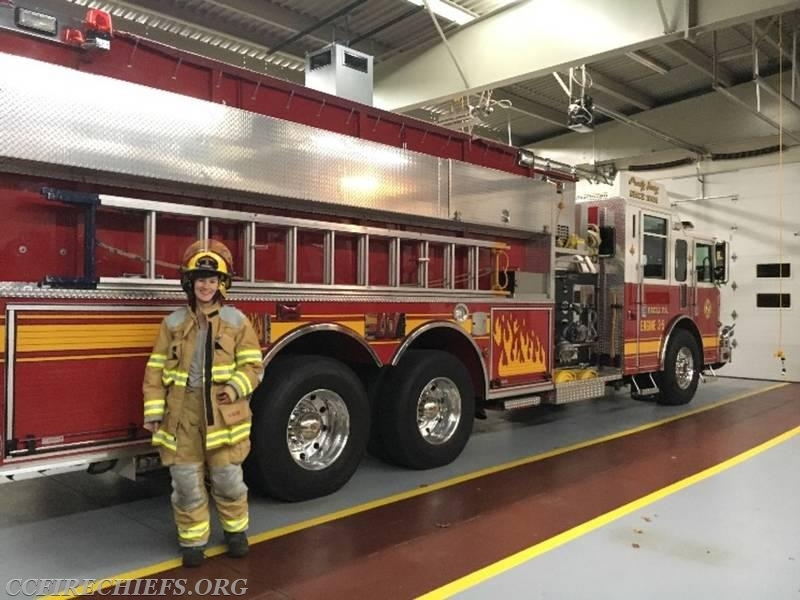 Growing up she can remember going to the station with her father, eating pizza and hanging out with the other members of the crew while they talked about firehouse topics. 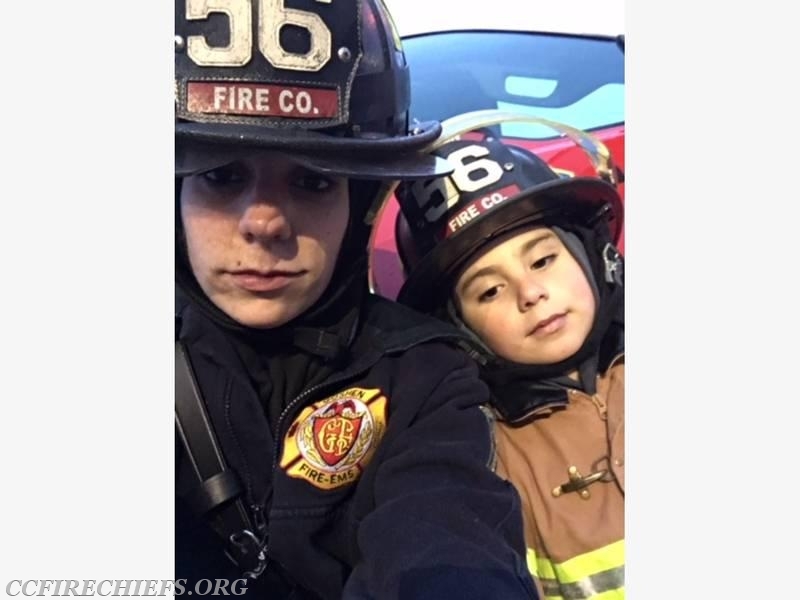 She’s proud to say that her son has told her he wants to become a firefighter when he’s old enough. Demarco looks forward to the day she’ll be able to place his helmet on him and welcome him to the station for the first time as a member. Many women who volunteer with their local fire company already have a background in emergency response and volunteer to continue helping others. That’s certainly the case for Chrissy Miller, a volunteer with the West Grove Fire Company. “When I first joined the company in June of 2017; I was looking for a way to give back to my community and surrounding areas,” said Miller. Her whole life has been spent watching friends and family serve others. She grew up around firefighters and first responders. Her own mother was a member of Southern Chester County EMS Medic 94 in the 1980s and worked in the emergency room at Jennersville Hospital. After high school Miller joined the U.S. Navy and served as a hospital corpsman. After the Navy, she moved from California to West Grove to raise her son, as then a single mom. She didn’t have time to volunteer until her son was grown and went off to college. Looking for a way to fill the void of running her son around, friends and family suggested she volunteer at West Grove. Danielle Moffett works full time. She’s raising a 6-year-old daughter, and is expecting another baby in a few months. Yet she still finds time to volunteer as an EMT and firefighter at Malvern Fire Company. How does she do it? One week at a time. 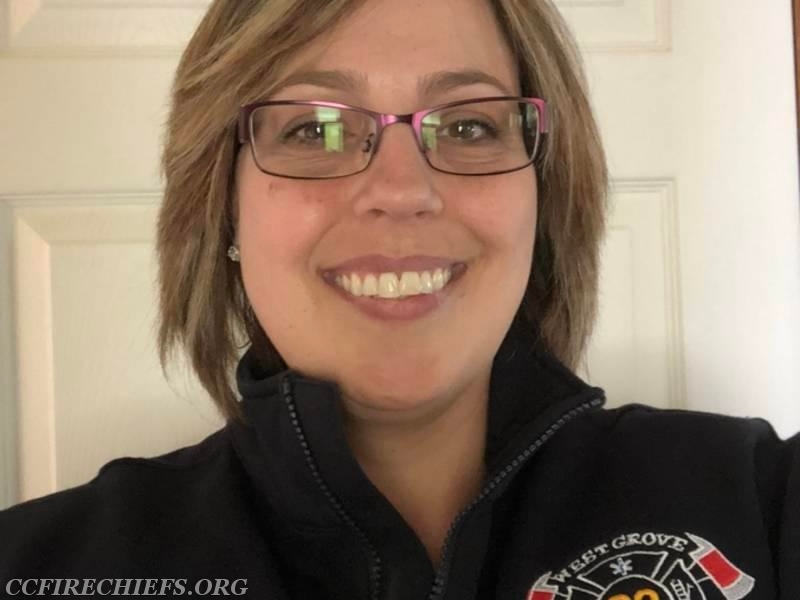 Her husband has been very supportive of her volunteering efforts with the fire station and their daughter has already hinted about following in her mom’s footsteps. She regularly goes to the station with her mom and loves to ask the EMTs questions and play on the fire trucks. Volunteering at a fire company doesn’t have to mean becoming a first responder. There are plenty of other ways to serve. 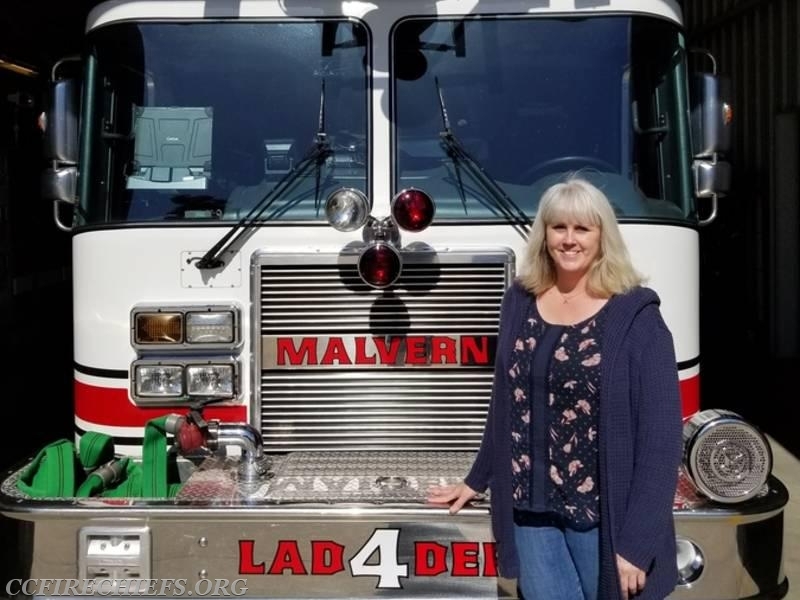 For example, for the last year Annemarie Patton has served as the Malvern Fire Company department photographer and company secretary. Patton’s roles have allowed her to see the business side of running a fire company, while also taking pictures at a fire scene. Plus she’s delighted to get to spend more time with her son at the station and on calls. They say team work makes the dream work. 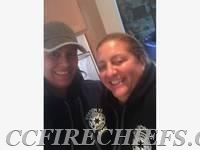 Best friends for 10 years and volunteer EMTs for Ludwigs Corner Fire Company, in Glenmoore, Pa., Kristina Casey and Adrienne Patrick are here to prove it. These two ladies, who call themselves “Thelma and Louise,” push each other to help save lives together with an unshakeable sense of humor. And they’ve already begun inspiring their children to do the same. Casey is a mom of four children ranging in age from 12 to 16. She and her husband, Scott, have been married for over 20 years. After graduating from Lehigh University in 1992, she took a corporate job until after the birth of their first child. Then she became a stay-at-home mom and now works as a substitute teacher. Patrick has been married for 31 years to her husband, Jeff. She is a mother of four kids ranging in age from 14 to 28. She graduated from Penn State University and currently works as a licensed private investigator. The duo began volunteering together when Patrick’s husband and son, who are both volunteer EMTs, would run to a call at the drop of a hat. Patrick wanted to help too but she needed to join the firehouse and pass the necessary first aid courses first. She knew she could do it if Casey was by her side. The two have known each other for nearly 10 years through their children’s school functions and have remained very close. “I took the courses and it was fun because I went through the training with my BFF Kristina Casey,” she said. Convincing her friend to train with her, though, took some effort initially. Today Casey and Patrick help teach future EMTs and consider themselves “a package deal” when it comes to responding to emergency calls. Having a friend there with you can make volunteering fun and allows you to have someone you can lean on when times get tough. “We understand that 911 calls can be scary and anxiety-ridden, but we became great at assessing the situation and incorporating the right amount of humor and/or compassion to put the patients at ease,” said Casey. Their families have taken notice of their willingness to help others and that drive has begun to rub off. As the two were studying for the EMT exam, Casey’s 16-year-old daughter Emelie helped quiz them and soon became interested in the work as well. She too became a member of the fire company and passed her CPR and first aid courses, and has plans to become a first responder as well. * Volunteer as much as you’re able. You’re serving your community and it’s great to see former patients doing well out in the community. Plus it can be a lot of fun. * Find a buddy, there’s always someone to lean on when times get tough. * There are plenty of ways to help as a volunteer, whether you have a lot of free time or just a little. * Ask questions, especially if you’re brand new to volunteering. There are plenty of people who are willing to help you. * Be strong- both physically and emotionally. You are helping people during a vulnerable moment in their lives. Be there to comfort them. * Work hard and accept you may fail at something. Don’t expect special treatment. Trust your crew and never leave a man behind. The Chester County Fire Chiefs Association encourages anyone interested in becoming a volunteer firefighter, EMT or administrative volunteer to visit www.HelpFightFire.com. Volunteer today, Chester County lives depend on it.